From large events and intimate gatherings to film sets and themed parties, Shag Carpet has a wide selection of furniture styles to rent. Shag's furniture collections are versatile and will help you create your desired ambience. Whether you need bars, sofas, occasional seating, garden furniture, highboys or picnic tables, Shag Carpet has you covered. Enhance your brand by adding logos and graphics to items such as bars, high boys, tables and chairs. We want to be sure that every customer loves every item they rent from Shag Carpet. A key aspect of this is to be sure our furniture is well maintained and stored properly. Our warehouse crew is meticulous about how we clean and wrap our furniture and how items are transported. "Our client was so excited about the rustic bars they were absolutely beaming with excitement because their registration desk looked so good. So, THANK YOU Shag Carpet! Wouldn't know what to do without y'all and Armando was fantastic as always." 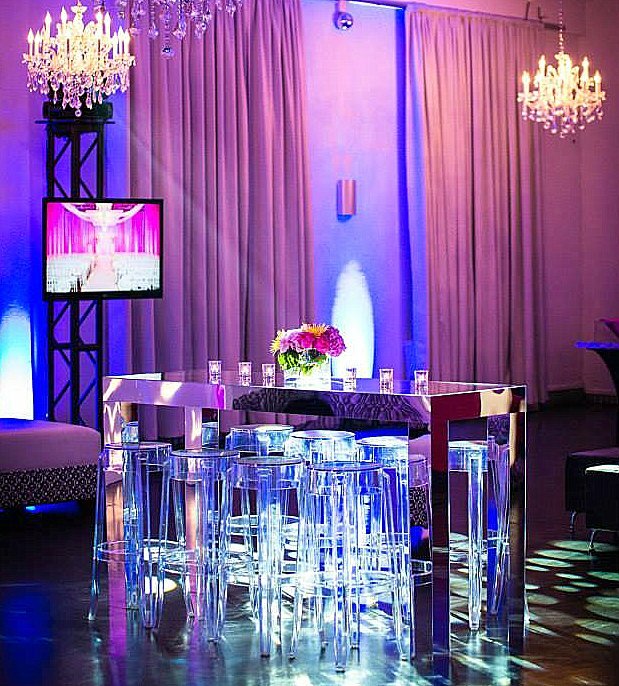 - Elizabeth P.
"The event was a huge hit and we could NOT have done it without your team. Loved the bar and rustic tables! Your team went above and beyond to help us out when we were falling behind and I cannot thank them enough." - Morgen H.
We invite you to come and explore our showroom and warehouse. Call us today at 214-742-5252 to schedule your tour.